A 29-year old Nigerian welder said he hacked his lover, who is also his landlady, Mrs. Ngozi Igwe, to death because she was jealous of his wife. 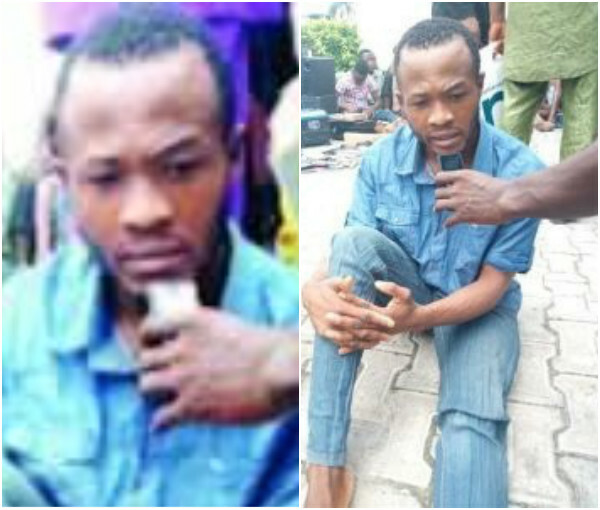 The man, Arugo made this confession in Port Harcourt as the Rivers State Police Command paraded over 80 suspects who were arrested within May and June 2017 from different parts of the state in connection to armed robbery, cultism, kidnapping, murder and child trafficking. The suspect narrated that his victim was her widowed landlady and that they had been in a deep relationship since the demise of Ngozi’s husband. The suspect said that his lover-landlady was angry with him because he got married and brought his wife into the house. “I am here because I committed a crime. I am 29 years old. I did it unknowingly and I never knew it will be like this. It is my landlady whom I am dating in Aluu Community that I killed. “When I went to my village and married, I brought my wife to the yard and my landlady started quarrelling. She said why will i marry without informing her. I started having problem with her because of my wife. I did not let my wife know about it.